Though Jacqueline hasn’t always been a farmer per se, she’s always been one to cultivate the land. Being from the Garden State, she took to gardening early, and continued it throughout her life. Now a Florida resident, when she purchased a home with a larger amount of land, farming was a natural progression for her. She started healing the earth by bringing animals onto her property. They helped aerate and fertilize the soil. She eliminated all invasive vegetation and avoided toxic amendments, all of which helped the land purge. 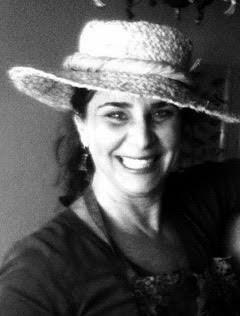 Once she knew what she wanted to grow and share with others, she planted, and in 2012 Back2thebeginning Farm was born. While farming was new to her, Jacqueline incorporated her diverse background into it. As a trained herbalist, she committed to growing plants with medicinal qualities. And as someone who’s been making natural healing soaps for over 30 years—“before making soap was cool,” she joked—she uses her plants to do just that. I talked to Jacqueline about all this and more, including why farming is important to her and why farmers are more than just people that grow food. Products: Organic farm-fresh exotic fruits, medicinal leaves and herbs, and handcrafted vegan soaps and salves. What’s your favorite thing about your farm? My favorite thing about the farm is my daily connection with the earth, and being part of the whole cycle of life. It brings you closer to everything. You know, just living and eating the fruits of your labor and sharing them makes a real big difference in your heart and soul. It kind of evolved. I’m a girl who grew up in the “Garden State”, New Jersey and I always felt a connection from that label. This was the land that I was planted on, this is where I developed my roots. So I always gardened, and I raised my children in South Florida gardening. I think it was really about caring for my own family at first and wanting to give them the best and healthiest products that I possibly could. Why is being an eco/local farm important to you? I think self-sufficiency is important. My love of sharing what I do with others locally is something that drives me and propels me everyday to keep on doing what I do, because the work is extremely hard, really very hard, and I’m not a young kid! But I think it’s really about the connection with the land that I work and the opportunity to offer my goods to people that appreciate it. What do you think is the largest problem facing our food system today? People’s disconnect with their food source. I think you need to know where you come from, where your food comes from — everything. The air you breathe, the things you do in life, and how it all affects the cycle of life and the quality of life for you and those around you. What do you want non-farmers to know about farming? Farmers are more than just people that grow food and have dirt underneath their fingernails. They’re people that care—care about their bodies, and the environment, and genuinely want to share what they’ve tended to and cultivated. They’re sharing people, because it’s not easy. It’s extremely hard. Recently, I had a bunch of orders I needed to fill. I was so excited to receive the orders and to fill them, but then intense winds and rain came in and I lost my crop. I was deeply saddened to tell my people, “I’m sorry, Mother Nature did her thing, and I can’t do anything about it.” Those kinds of things happen to farmers. Weather conditions, plagues of bugs, and things like that can make such a difference. It’s Mother Nature—you have to have respect for the power of Mother Nature. I dehydrate many of my fruits and eat them for snacks — Papayas, Bananas, Mangoes. I eat dried fruit that I grow. They’re healthy and delicious! If you weren't a farmer, what would you be? I was thinking something like an earthworm but I don’t think I want to say that! I would hope to be a Shaman or Wise woman.